My husband’s paternal family tree comes from St. Kitts, a beautiful island in the Caribbean that was a British territory until its independence in 1983. His Kittitian ancestors are an interesting blend of British, French, African, and Madeiran lines. The Madeirans came to St. Kitts and Nevis in the mid-1800s, when a combination of circumstances led to the importation of farm laborers from Madeira to the Caribbean. Slaves and indentured servants had been used in St. Kitts and Nevis to work the islands’ many sugar cane plantations. Slavery was abolished in the British West Indies in 1834. The slaves, of primarily African descent, were given a four year transition period called an “apprenticeship”, after which full freedom was granted. This presented a labor problem for plantation owners and sugar merchants. An additional reduction of the Kittitian work force resulted from several years of a cholera epidemic, which tended to hit the poorer former slave population. At about the same time, a series of crises erupted in Madeira, a Portuguese island in the north Atlantic Ocean, off the coast of Africa. The Madeirans had experienced a civil war from 1828 to 1834, followed by a devastating potato famine in 1847, known as the “o ana de fome” or “year of hunger”, and finally a series of vine diseases that affected wine production from the 1850s through the 1870s. This led to the emigration of unemployed farm laborers, who looked to the West Indies for employment and a better life. From 1847 to 1870, about 1,180 Madeirans arrived in St. Kitts. Initially, they did not assimilate with either the white plantation owners or the black laboring class. 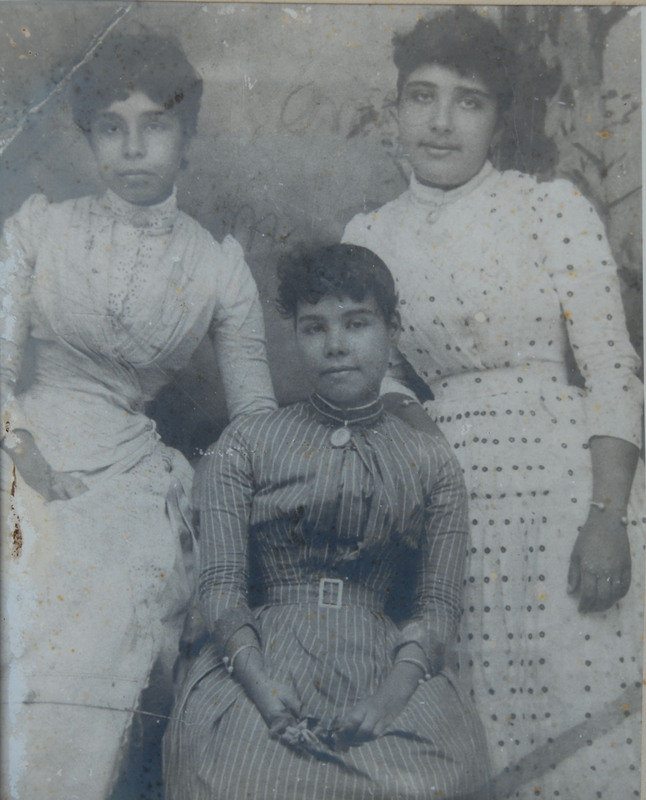 When their terms of indenture expired however, many remained rather than return to Madeira, often opening small shops in Kittitian towns. They soon became middle class citizens with increased social status. There are still a number of Madeiran names among the residents of St. Kitts. My husband’s great-great-grandmother was a Cabral, who emigrated to St. Kitts prior to 1868. This Cabral married a planter, and so followed the track of rising status, from hard-working plantation labor to a more privileged and economically comfortable class. The Cabral name and husband’s occupation as planter was found on a microfilm ordered from the Family Search (LDS Church) library: Basseterre (St Kitts) Civil Registration 1859-1932. The information was listed on the 1868 civil birth record for a daughter of Eliza A. Cabral and her husband John Cannonier. The fact that Eliza was from Madeira was passed down to us by her granddaughter (my husband’s grandmother). Very interesting article. I live in Canada, but my birthplace was St. Kitts. Apparently my great-grandfather was from Madeira, named Francis Barate. Apparently the name may have been changed. I am having difficulty searching backwards, but I hope one day to find the piece that completes that puzzle. Maybe one day I will meet cousins back in Madeira or Portugal. Please check 2 sites on Facebook if you are interested in connecting with Kittitians. : Kittitians with Portuguese ancestry, and St. Kitts and Nevis Genealogy Group. Thanks for the Facebook group info – I have joined! My grandfather Frederick Hart (1883) and his three sisters were born in St. Kitts-Nevis. His father’s name was Fountain Hart and the four children between them had two birth mothers whose first names were Carolina and Charlotte (possibly Carlotta). Fountain did not marry either of the two sisters who are reputed to have been from Madeira. Both sisters married “freed black men” and apparently left St K-N with their husband’s. My grandfather had a cousin named Sir Clement Malone also born in 1883 and the Malo e’s were connected to other families named Cranstoun, Semper and Berkeley. Any info would be appreciated. Or resources so my cousin and I can search. Also, there are two facebook pages with lots of people willing to help: “st kitts and nevis genealogy group” and “kittitians with portuguese ancestry”. Finally, a great source for family information is the microfilms that can be ordered from familysearch.org. BTW, my husband has relatives (by marriage) who are Malones and Sempers. I’m trying to find any relatives on my dad’s side who are from Madeira. My dad’s grandfather (his mom’s dad), went to Antigua from Madeira. He opened shop in Antigua for awhile! He had a daughter,( my dad’s mom) named Menina Branca Fernandez. He wanted to marry my grandmother but her mother wouldn’t have it, so he closed up shop and left. He wanted to take my grandmother, but off course he was faced with a no. My grandmother said he supposedly returned to Madeira but no record of this. Many went St. Kitts, St Vincent and Guyana. We also know that Victor had sisters in Madeira who were nuns. He named my grandmother after one of his sisters. Anyone has any kind of information. My dad is in his early 70s. We want to find any family his grandfather, Victor may have in Madeira. Appreciate any information. If you are on facebook, you might also want to join the “Kittitians. : Kittitians with Portuguese ancestry” page – you might find people there who have connections in Antigua. And Challenger is a familiar name to me – my husband is a distant cousin to Challengers from St Kitts, through marriage to the Madeiran lady Eliza Cabral. There’s also the chance that if you have your DNA tested through ancestry.com or another service, you may be able to connect with cousins who have more family knowledge. what’s their full names and wifes names and husbands and parents names, full names! ?